This is the remarkable true story of a young man's initiation in the Himalayas. David Manners was trekking in Nepal when he stumbled upon the mountain home of a jhankri, or Nepalese shaman. The jhankri accepted David as his pupil, and so began the next stage of David's extraordinary journey, in which he embarked upon an adventure that was more challenging and, ultimately, life-affirming than anything he could have imagined. 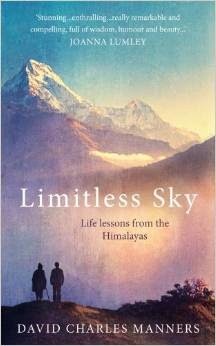 In Limitless Sky, David shares the wisdom and insights he learnt from those transformational days in the Himalayas. These include practical guidance on how to live a full and fearless life, how to find happiness and how to live in ways that nurture both ourselves and others. As David reveals, the life lessons he learned amongst the mountains of the Himalayas could benefit us all today. Many times people ask me why I read self help so much. Is it that I am doing so badly in life that I need these lessons, well the answer is NO. It is that I love listening to others experiences and knowing what they went through. For me every self help book is a story of triumph and that is what makes it so special. The biggest thing that sets this book apart from the others in this genre is the narration. The author has a unique narrating style one that makes you feel as if you are a friend and he is sharing his experiences with you in the most casual tone possible. And it is that thing which connects with you in the most profound manner. The story begins in a normal backdrop of trekking where the author has no inkling as to what is in store for him in future. It proceeds further where some incidents and thereafter his life takes a 360 turn towards what in real sense can be called the calling of the soul. In his casual tone the author has given out a very nice message in terms of life and other things at large. Some very deep and profound lessons have been shared by the author here making this book one enthralling read. Recommended for people who enjoy reading these genre, this one is a book you wouldn't want to miss! 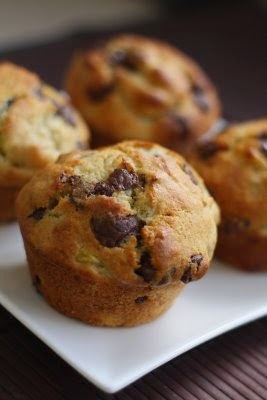 This book is like banana chocochip cookies - Crispy, sweet, crunchy and chocolatey!